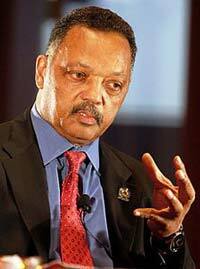 Jesse Louis Jackson, Sr. is a famous American civil rights activists and a Baptist minister. In 1984, he was the Democratic presidential nominee and in 1988. He served as a U.S Senator for District of Columbia between 1991 and 1997. He spent many years supporting the end of racial divisions and class divisions in America. He founded the Rainbow/Push Coalition; this is a group that works to improve the lives of people in America and the entire world. Jesse was born on October 18th, 1941 in Greenville, South Carolina. He was the child of Helen Burns and her married neighbor Noah Robinson. In school, Jesse was often teased for not having a real dad. He developed a very strong desire to be a successful man and overcome all his childhood struggles. After finishing his tenth grade in high school, he got a scholarship to join University of Illinois Chicago. After a few semesters in the university, he left and returned to the south. He enrolled at North Carolina Agricultural and Technical College; an institution for African-American students. Here, he was elected student body president. In college, he got involved in civil rights movements. He encouraged his fellow students to protest against racial injustice. He graduated in 1964 with degree in Economics and Sociology. After graduating, he attended the Chicago Theological Seminary. After about 2 years, he left seminary and later joined the Southern Christian Leadership Conference, a civil rights organization led by Dr. Martin Luther King Jr.
Jesse Jackson started to get involved in international politics when his visit to South Africa was approved by President Jimmy Carter. Jesse attracted big crowds at his rallies; he criticized apartheid in South Africa. In 1979, he toured the Middle East where he was scrutinized for embracing Yasir Arafat. Arafat was a Palestinian leader who was considered a terrorist by some. In the 1980’s, Jesse Jackson continued to promote his Rainbow Coalition as a great way for all Americans to improve their country. He got a lot of support from the African-American community and this enabled him to influence both local and national elections. He played a great role in the victory of Harold Washington, the very first African American mayor of Chicago, Illinois, in 1983. In 1984, he campaigned in the presidential election as a Democrat. His campaign mainly focused on social programs for disabled and poor, reduced taxes, increased voting rights, improved civil rights and effective programs that will improve job opportunities of women and other minority groups. He received 3.5 million votes. After the 1984 elections, Jesse Jackson split his time between working for PUSH and the National Rainbow Coalition. He ran again for Democratic presidential nomination in 1988. Although this campaign received much wider support, he came second. In 1992, he supported Democratic Candidate Bill Clinton. He used his influence to convince black people to vote for Clinton. The efforts helped Clinton win the election. Jesse Jackson still continues to speak out for civil rights and also challenge others to improve their lives. In 2000, he received his master of divinity degree from Chicago Theology Seminary. Two months later, President Bill Clinton awarded him a Presidential Medal of Freedom; the highest honor for the civilians.